In week two, the Warlocks moved closer to finalizing our 2018 robot design. Together we had several great student and mentor driven discussions that turned into producing and testing some impressive prototypes! Students explained how they calculated the total possible points to score in a match and gave pros and cons to their perspective group. Our family had many questions and ‘what if’s?’ this week. In the typical Warlocks fashion, questions were answered and agreed on which way to proceed. In the end, we believe that we have come up with an exceptional concept to face and defeat the boss. As always, FIRST has created a challenging game called FIRST POWER UP! We suggest that you check out our web page to learn more about the game and watch a short video on how the game is played! Go to www.warlocks1507.com, under the pull down menu, ‘About FIRST’ click on ‘About the game’. After a short video, you will gain a better understanding of the task at hand! This week we are highlighting the CAD (computer aided drawing) team. 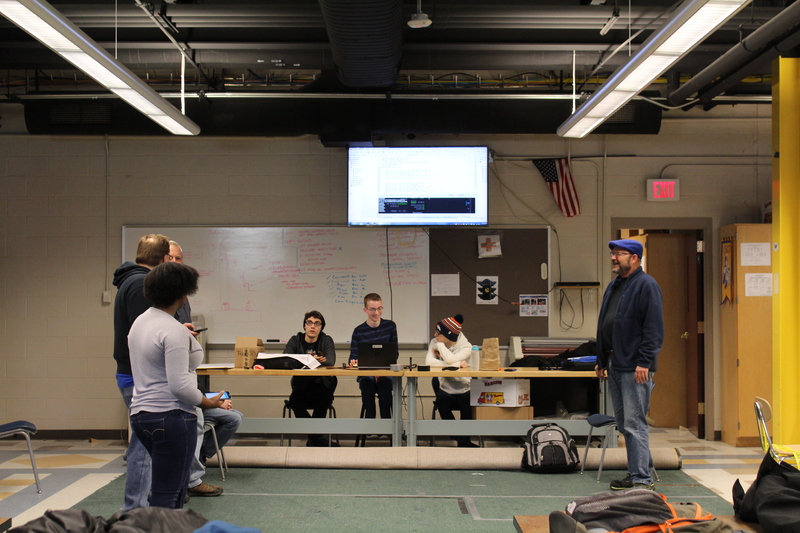 Throughout the week, Katie, head of the CAD team, has begun designing the robot along side Mr. Rogowski, Mr. Alex Kapaan– Superior Design, Mr. Bob Vasko– Mahle and Mr. Steve Barnes, a dedicated mentor who is a retired machinist of GM. She completed the base design; as well as the two stage elevator and the cube collector. The entire team is proud of her dedication and success! We are looking forward to the upcoming week!